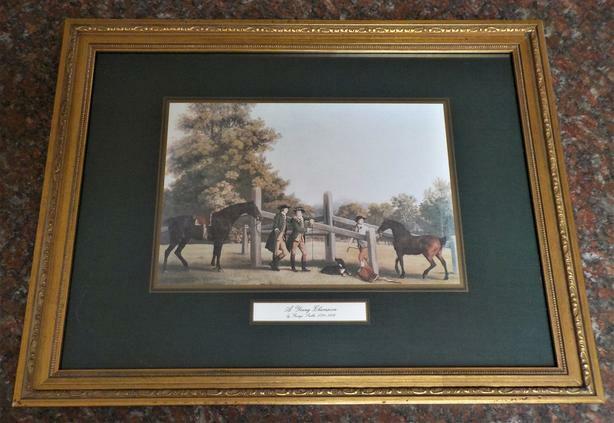 These are vintage reproductions - George Stubbs (1724-1806) --- "A Young Champion" & "Family Outing" --- Framed Art Prints. These are rare items and the ones in the pictures are the ones that you will receive (frames included). The pictures measure 17.75" x 13.75" with the frames. I will sell separately for $15.00 each.